CES 2007: Xbox 360 as an IPTV platform? Microsoft's Robbie Bach, president of Microsoft's Entertainment and Devices Division, made two announcements during the Microsoft keynote at CES that spell big trouble for the PlayStation 3 and Sony's new Internet TV service . 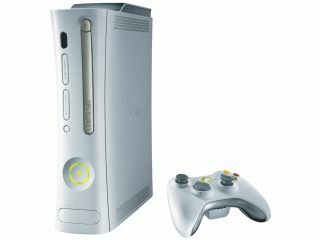 The first was that with 10.4 million Xbox 360s shipped, it has beaten its own sales projections for the first year. That's a daunting enough figure for Sony to be facing, without the new weapon that's been added to the Xbox arsenal - which makes the Xbox 360 the definitive home entertainment centre. Xbox Live Video. Microsoft made the announcement at CES that the Xbox 360 will be able to receive a live, high definition TV signal from Microsoft TV, as well as provide a platform for blockbuster movies on demand. Although the new service isn't expected to go live until Christmas 2007, and there were no announcements for pricing or for a larger hard drive which will presumably be necessary, there were plenty of service and content providers confirmed for the launch. These include Deutsche Telekom, BT, Swisscom and AT&T on the service side, along with Comedy Central, Fox Sports, Nickelodeon, Lionsgate and Warner Brothers for content.